We have 3 codes to get this amazing $15 book for FREE at the bottom of this post, it's first come, first serve so good luck! Otherwise, get the book 50% off at checkout until 8/31/17 by going to alt.cc/cmddconf and enter the coupon code "CMDCONF". "Looking for ways to work smarter and faster with your Mac? 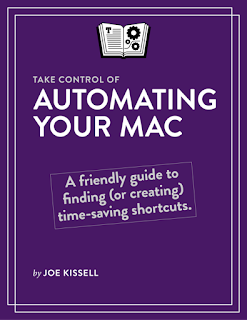 In this updated and expanded edition of his popular guide to Mac automation, Joe Kissell shows how anyone, at any level of experience, can save time and effort, and avoid unnecessary errors, by using automation techniques that range from the simplest keyboard shortcut to the most complicated script. In this book, Joe teaches you how to automate routine tasks in a wide variety of ways. You can begin by making the most of productivity features such as Siri, Spotlight (for launching apps), and text replacement—and then move on to the more sophisticated automation tools built into macOS, such as Automator, AppleScript, services, and shell scripts. In addition, Joe gives extensive information about third-party automation apps that can make a huge difference to your work efficiency, such as Keyboard Maestro, TextExpander, OmniGraffle, and many more. As an extra bonus, the book includes coupons for discounts on 11 automation apps, adding up to more than $100 in savings! Whether you’re new to automation, you just need a refresher, or you’re experienced with automation but want to go deeper, this book can teach you the skills you need to automate with ease. 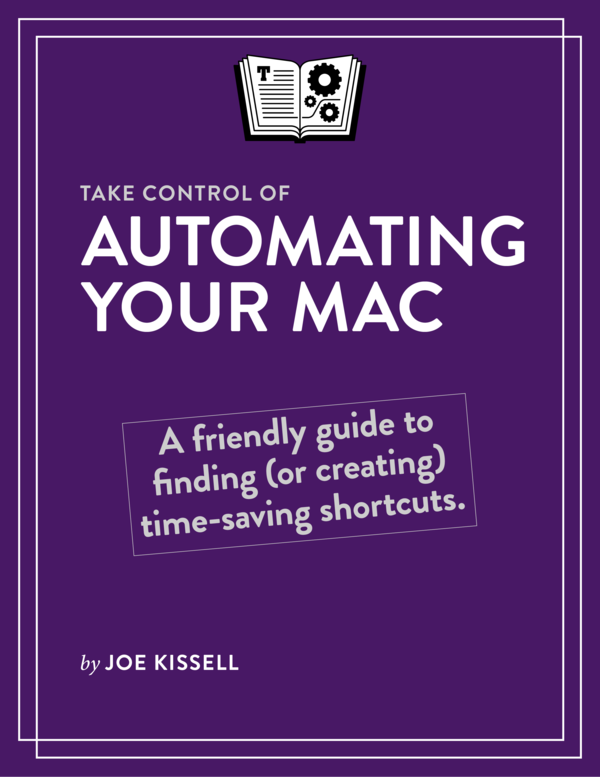 Take back your time, work more efficiently, and have more fun with your Mac, with Take Control of Automating Your Mac, Second Edition! Control nearly anything on your Mac with Keyboard Maestro" - From the Take Control Books site. Go to alt.cc/aym and enter one of the codes below (assuming they have not been used yet), good luck!